This week has had a plethora of multiples of two. It was the second week of my second semester in my second year at community college. Two days of classes a week. Two scarves to make. 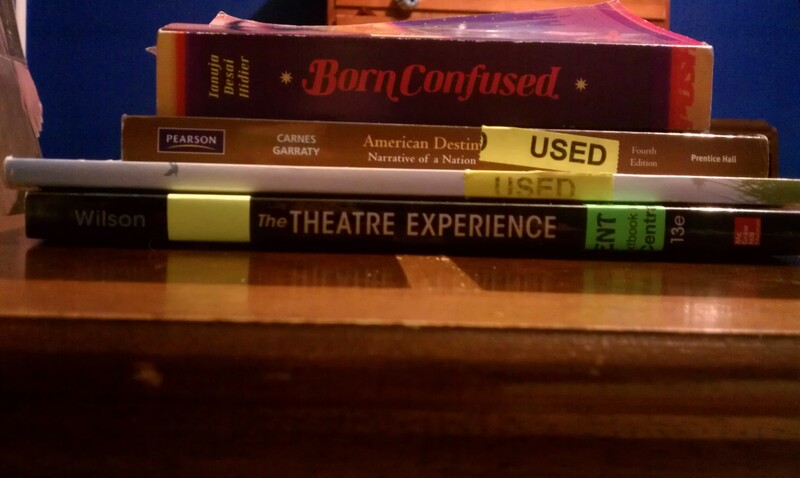 Four books to read so I do not fall behind in my classes. I am sure the Universe is telling me something, but it is not clear to me now. It is something to meditate and pray about I suppose. This week has been a long hard week. I started it out with reading two of my textbooks. I ended up reading a play out of an anthology soon afterward called Trifles. At least there was a little leisure reading. My book of choice this week (and every day until I finish it) is Born Confused by Tanuja Desai Hidier. After I have read it, I will do a book review and let you know what it is all about. Throughout the week I was also able to work on the scarves I started a last week. 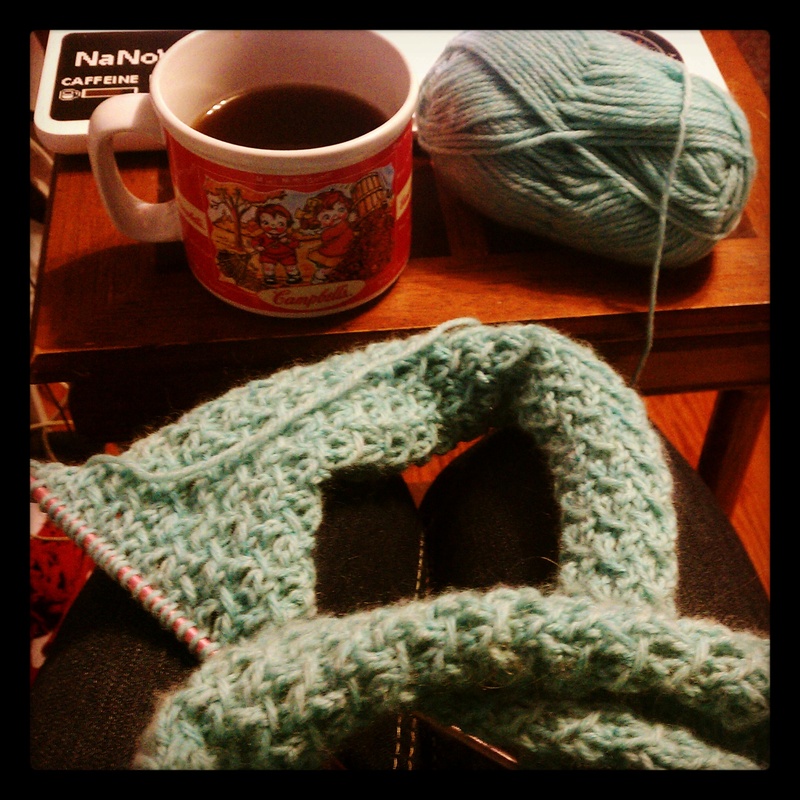 I am now taking part in something called Insta Knit Night, which is an event on Instagram. On Thursday night you post a picture of the project you are currently working on, your drink of choice, and you answer a topic question. I chose to work on a scarf I have been calling the Frozen Heart scarf(pictured below) and I drank gingerbread spice tea from Celestial Seasonings. With a little honey it tastes so good, and it made me feel warm and fuzzy on the inside. The topic question this week was what our favorite project was in 2014 and what our goals for 2015 knit-wise are. Mine favorite project was the Failynn Fox Cowl (also pictured below). I did not post my goals, but I believe mine will be learning new stitches. If I want to become a certified knitting and crocheting instructor, then I will have to do that. Well, won’t you look at that? 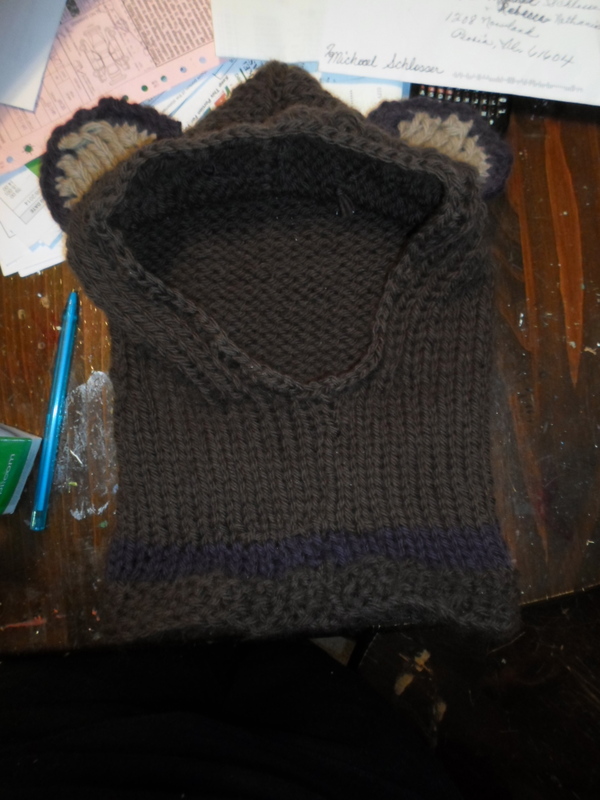 Failynn Fox Cowl… except not as foxy as it was supposed to be. 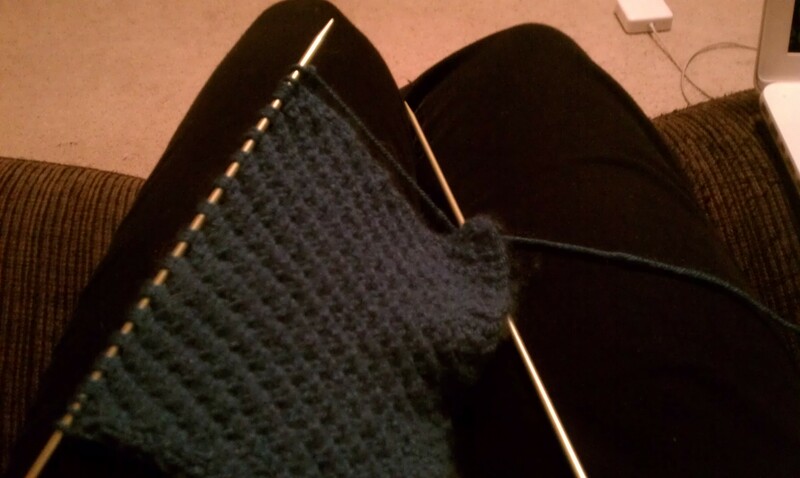 Also this week, I have been working on another scarf (again, pictured below) for a special someone whose name is Corey. The scarf is made using acrylic yarn found at the craft store. Acrylic is not my favorite thing to work with, but it is so soft and is a lot easier on my hands than wool yarn is. I want to cuddle with the skeins of yarn. The pattern is a little difficult because it has three stitches purled together, and I have never done that before, so it is a little slow going. The stitch is literally called “making a knot” and now I understand why. It is not growing very fast, but I know it will get to him eventually. In regards to writing, I have gotten nothing done this week. That is alright with me because my time has been focused on other things. I know that I will not always have time to write, but I need to start making time to write. I have been in a little slump lately. What gets you out of a slump?